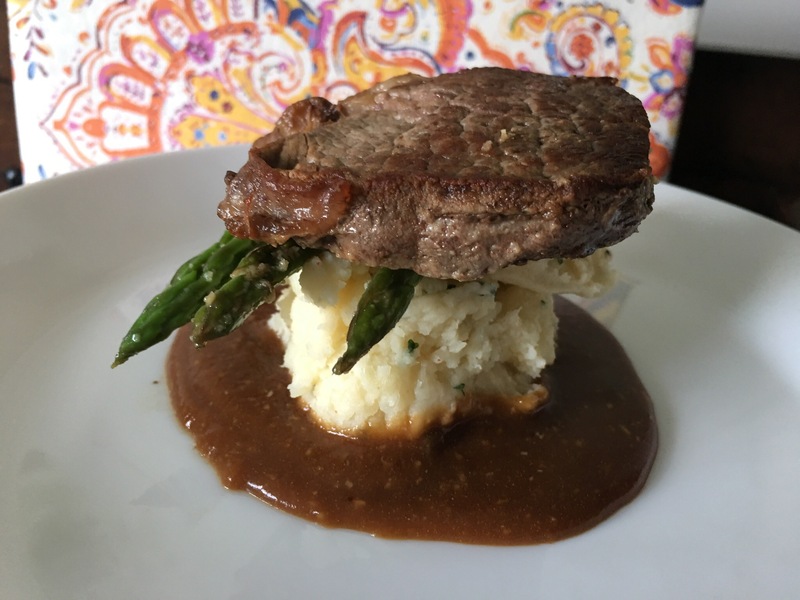 Filet Mignon, mashed potatoes, and asparagus–date night IN! – Hurried Home Chef! 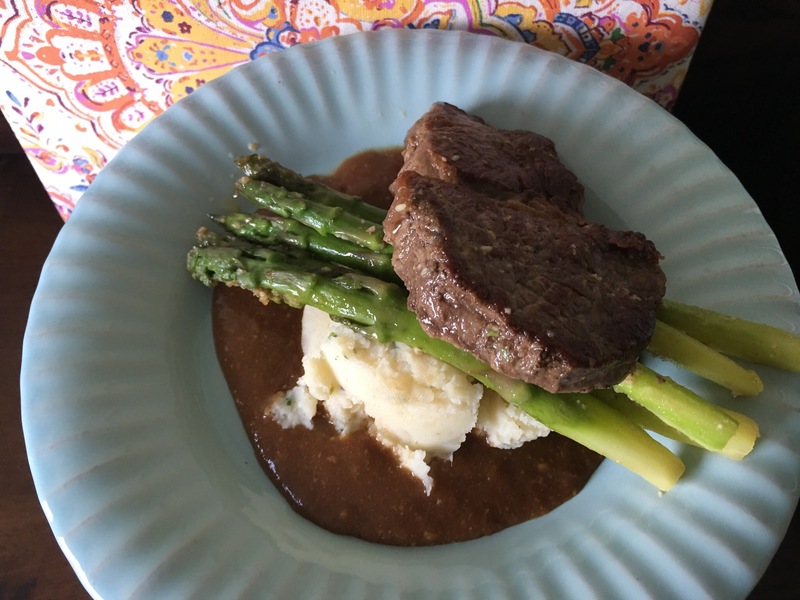 Filet Mignon, mashed potatoes, and asparagus–date night IN! Mashed potatoes from scratch are easy to make, especially if you do it in steps. First, peel and chop them. Use a carrot peeler for the skin if your knife skills aren’t great. I cut them small, about 8 pieces each, placing them directly into the pot of water you will cook them in. Once they are fully covered with water, you can leave them in the fridge overnight or at room temp uncooked for half a day or so. Once you’re ready to start cooking (1 hour before serving, 30 minutes if you’re more of a pro) put them on high heat and cover. I added some chicken base (or cube) or you can just use salt. Once they boil, you can partially cover it or remove lid altogether. 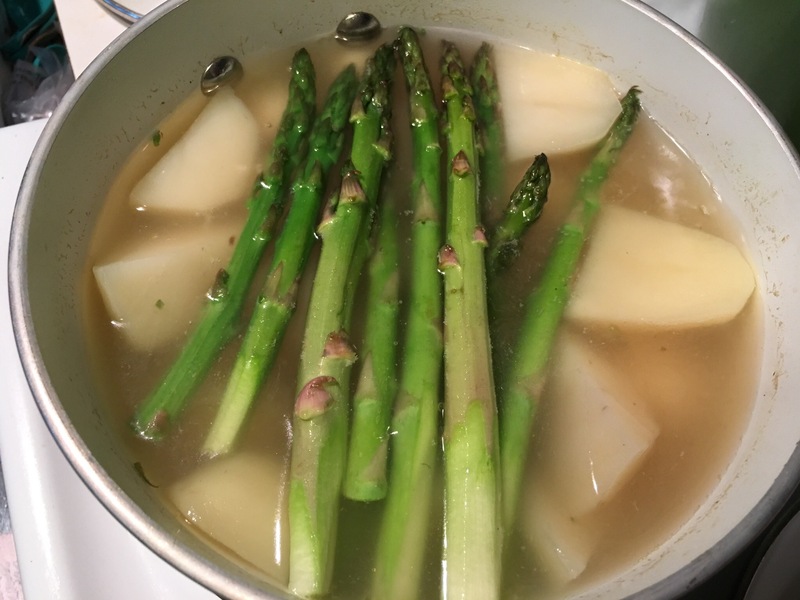 Let that cook until almost all the way done, then add the asparagus to blanche. Once they are cooked to your liking, drain everything. Return the potatoes back to the pot, leave the heat on medium-low, mash them, add butter, cream or milk, salt, black pepper, cayenne, parsley. If you are trying to reduce fat, use chicken stock instead of cream. You can then sauté the asparagus in garlic and butter, or leave them as is. 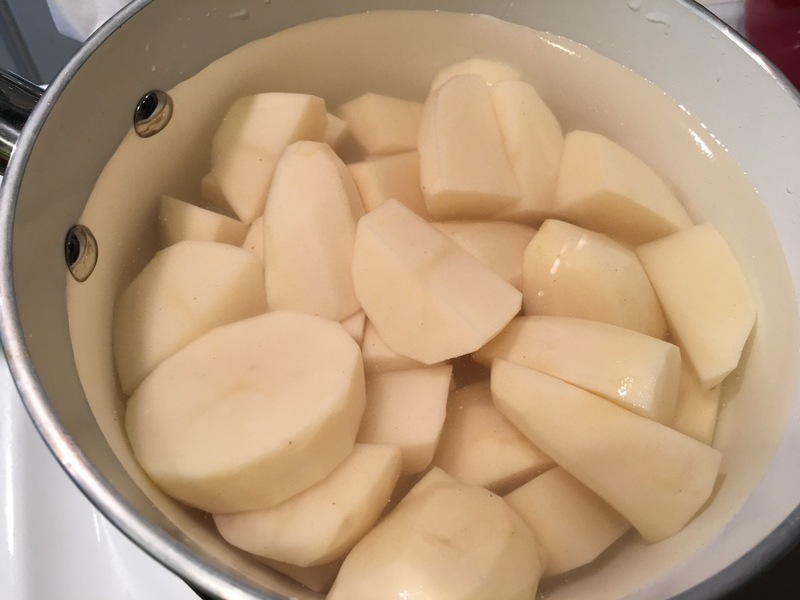 Keep the mashed potatoes on simmer if you are not eating right away, you may need to add stock if they get too dry. 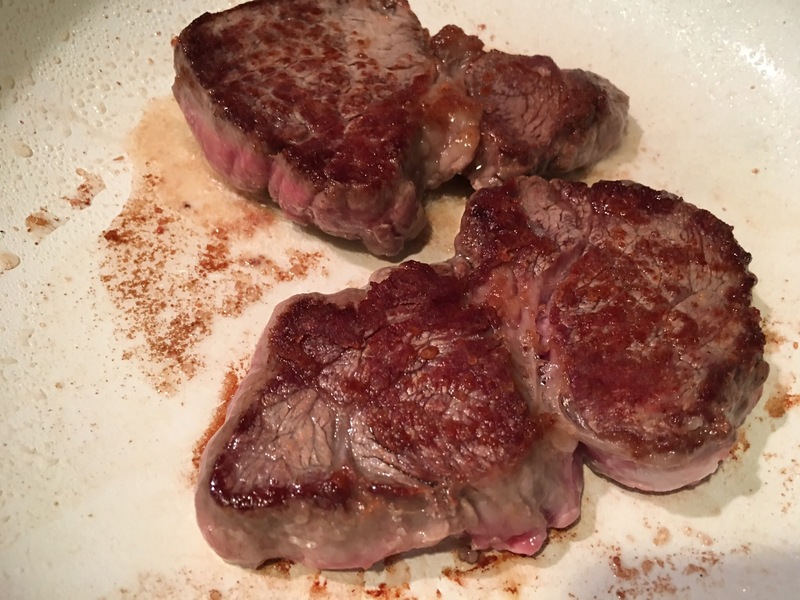 While that was happening, I started the steak, the rain kept me from the grill, so I just used the frying pan. I only seasoned them with salt, then used coconut oil to sauté it. Try not to move it, just let the crust form. Give it a flip and brown the other side. 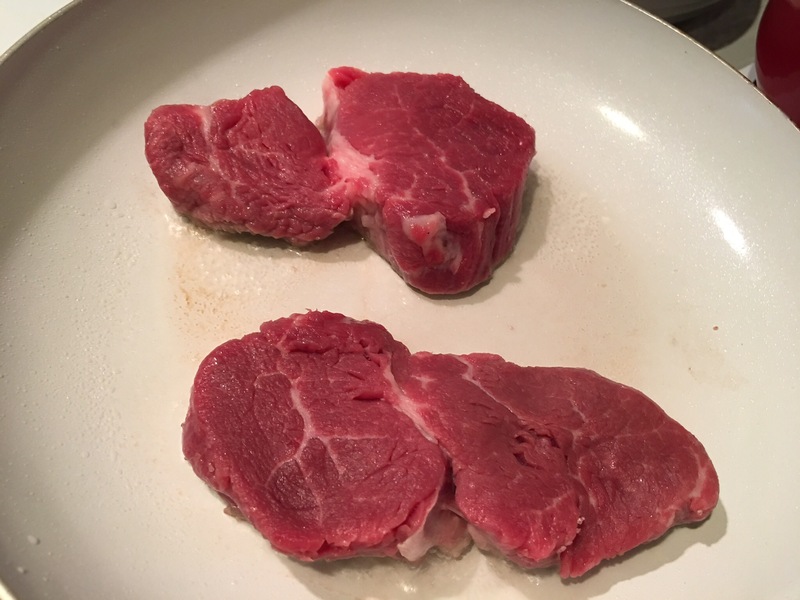 You can look up cooking times with the size of your steak. 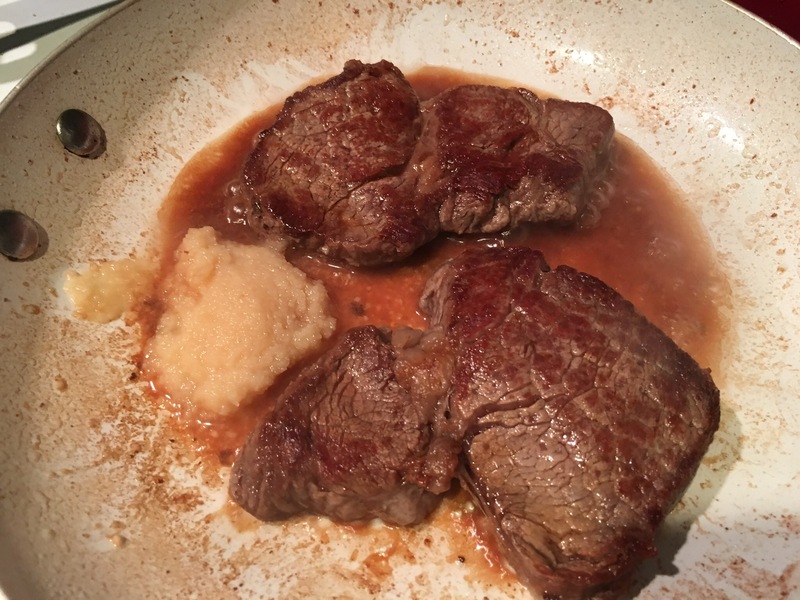 Then I removed the steak, added some beef stock and cooked it into a sauce, I thickened it with a rue and garlic for flavor. Then you can serve and eat! If you’re doing a date night situation and want to impress…stack upwards to get some height for a great presentation. Put the gravy on the bottom, followed by the potatoes. 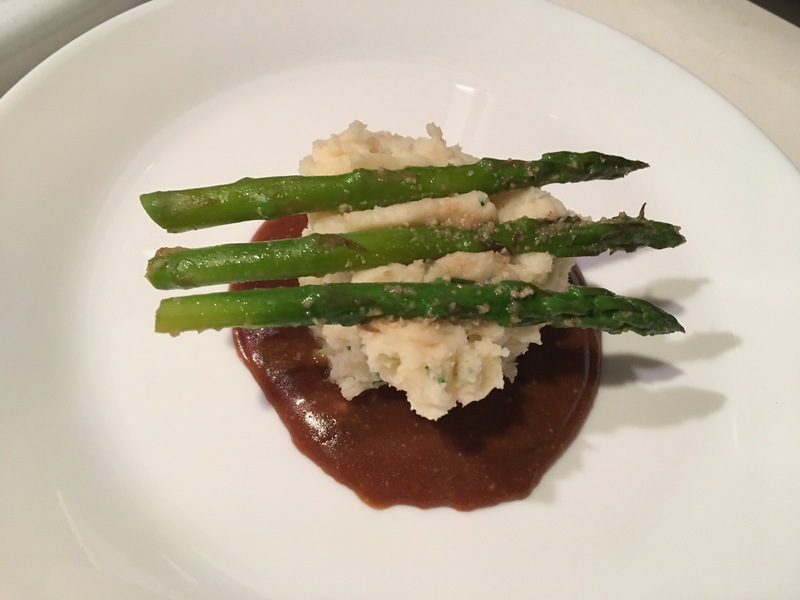 Then you can lay the asparagus on top for the steak to rest on. Or just put them to one side, it’s up to you. If this was a dinner party or a date, I’d add some fried shallots on top, there’s a post with that in here. Or you can sauté some mushrooms then add to the gravy. Some caramalized onions would be good too. 6 potatoes (because I wanted left overs), you can also use cauliflower mash instead. Previous Post Curry in a hurry… chicken legs with potatoes! Next Post Sunday afternoon cooking with meal prep for the week.